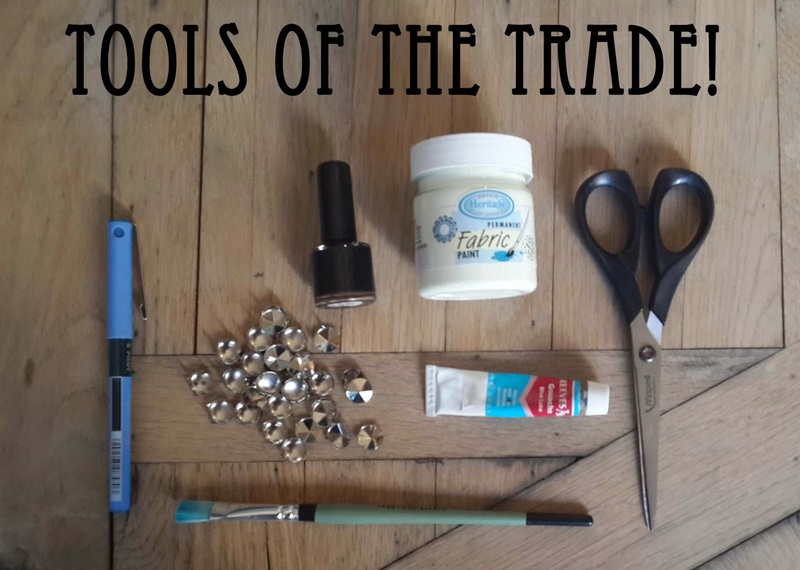 Here is a DIY I did for a fashion friend. Recently I've done some very pretty DIY's so I decided this week it was time for something a little more edgy. 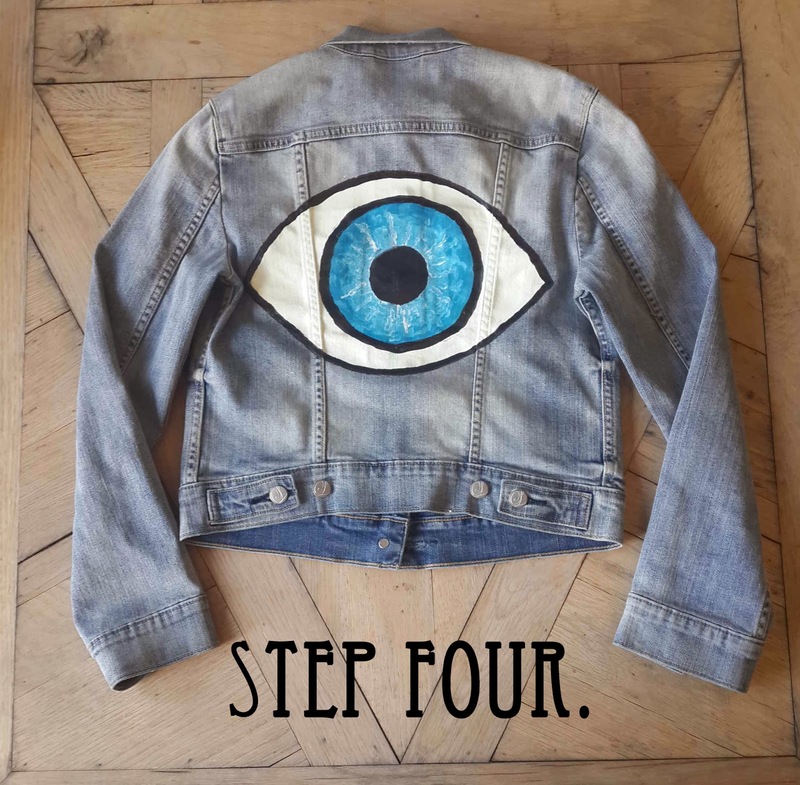 Here's how to paint an on-trend design onto your denim jacket to give it a original, one-of-a-kind feel. And wear it to a fab NYE festival. Using the pen, Paper and Scissors. 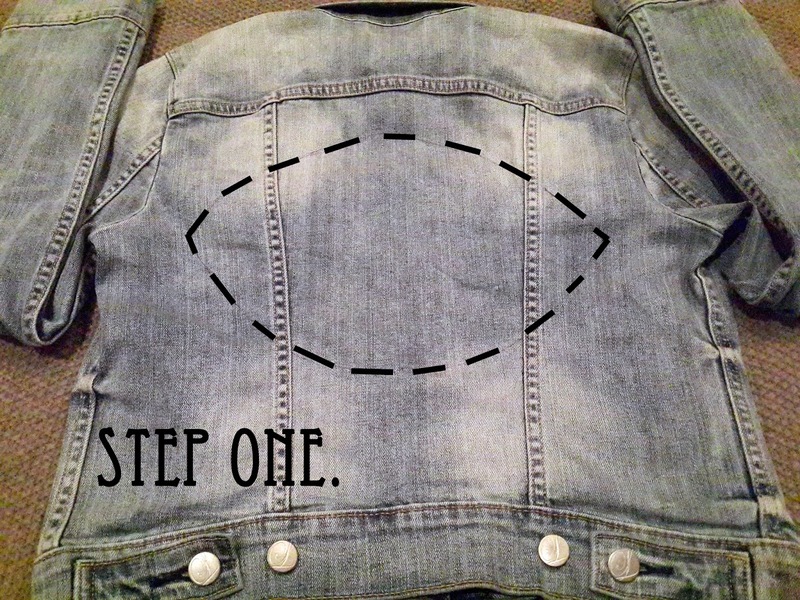 Cut out an eye shape you like and mark it out in the centre of the back of your jacket. 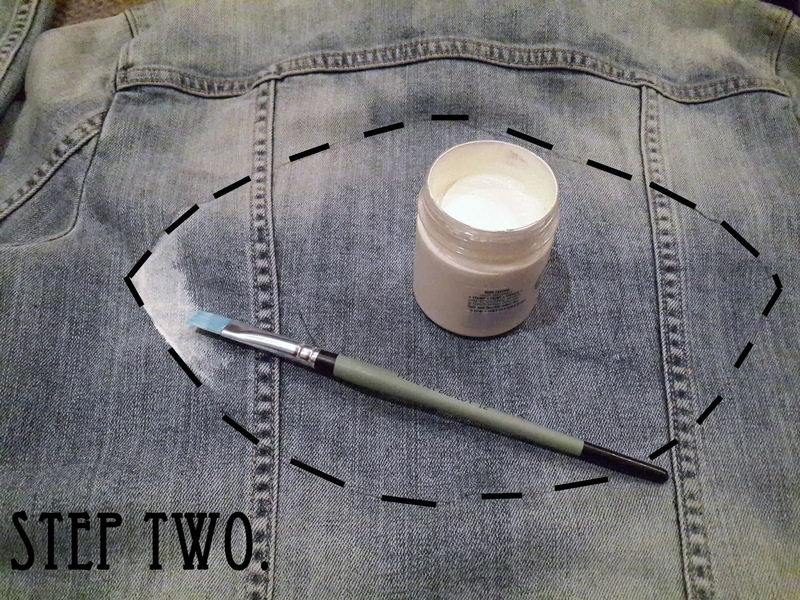 Paint the inside of the eye shape solid white. You may need to do more that one layer.Top Tip: Allow yourself more than enough drying time. Mark out and paint the centre of your eye in blue. Using the black nail polish, outline and paint in the pupil in the very centre of the eye. 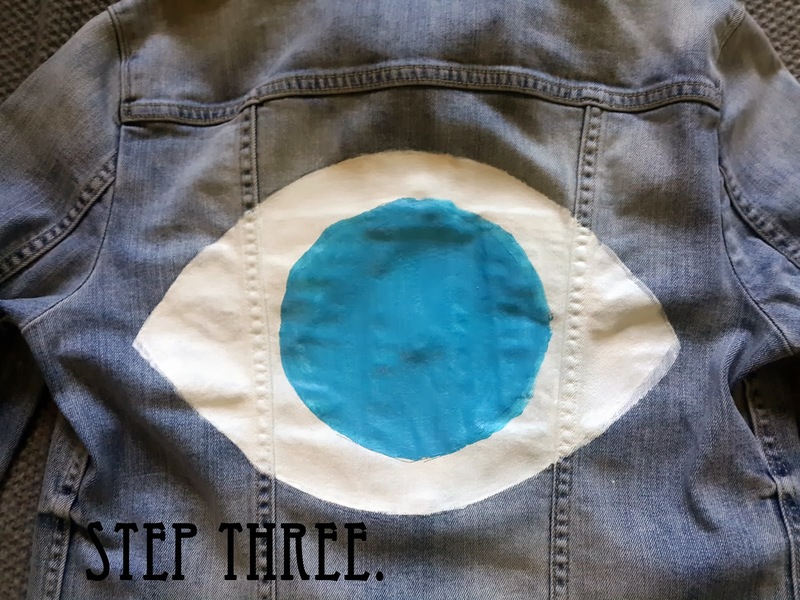 Once this has dried, use a dry paint brush to put in detail around the blue of the eye. 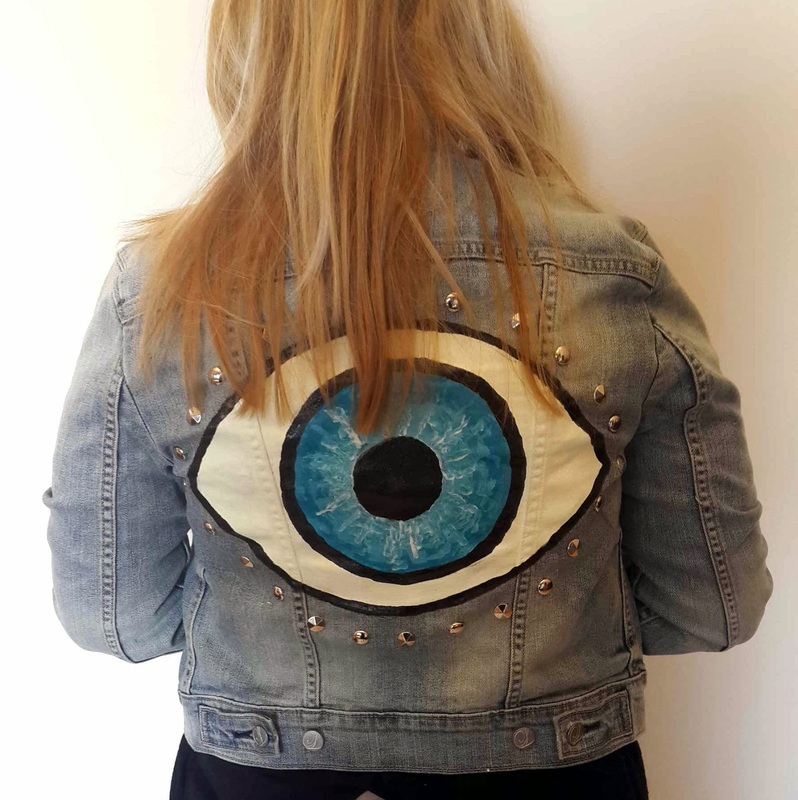 Push in some press studs around the eye to give your LEVIS jacket a little extra bling.